MIC Center experts will provide prompt advice, prepare all documentation and issue the Vehicle Type Approval (VTA) in the shortest time possible. The Vehicle Type Approval is the document which confirms compliance of the vehicle or the chassis with the requirements of the Technical Regulations No. 720 dated September 10, 2009. The Approval is required, if you plan to establish a serial production or import of vehicles to Russia from abroad. The document specifies the brand, type, manufacturer, technical characteristics of the chassis and the add-on. A summary sheet listing the requirements of the Technical Regulations and the labeling description are filled in, the drawing reference number and other characteristics are stated. To prepare the VTA, the supporting documents and relevant approvals shall be obtained first. These include the Dividing List with the chassis manufacturer, certificates and test reports demonstrating compliance of the vehicle to the requirements of the Technical Regulations, and the certification body’s opinion on the possibility to issue VTA. Over a period of 14 years, our experts have issued more than 2000 Vehicle Type Approvals. So far, our customers include more that 150 manufacturers of special-purpose vehicles in Russia and abroad. All documents can be issued from scratch, on turnkey basis even with minimum information from the customer. To apply for the Vehicle Type Approval you don’t need to visit our office. Simply send us the information about what vehicle and what number of vehicles you require to certify, as well as your contact details via e-mail at admin@mikcentr.ru or using the form below. We will contact you promptly. You can cave your time and money, if you fill in the application and the technical description in the official formats yourself. Please, send us the archive with the documents via e-mail at admin@mikcentr.ru or using the form above. The application includes the name of the manufacturer and the vehicle, contact details, and the reference number of the future approval. You can send us the application in any format. Then we will process it into the required format and return to you for approval. WMI holder is entitled to produce or import vehicles to Russia. It is the main permitting document. For more information on how to get it, go to WMI Certificate section. The Technical Description specifies the vehicle designation, its weight and dimension characteristics, the information on the engine, gearbox, braking and steering systems. 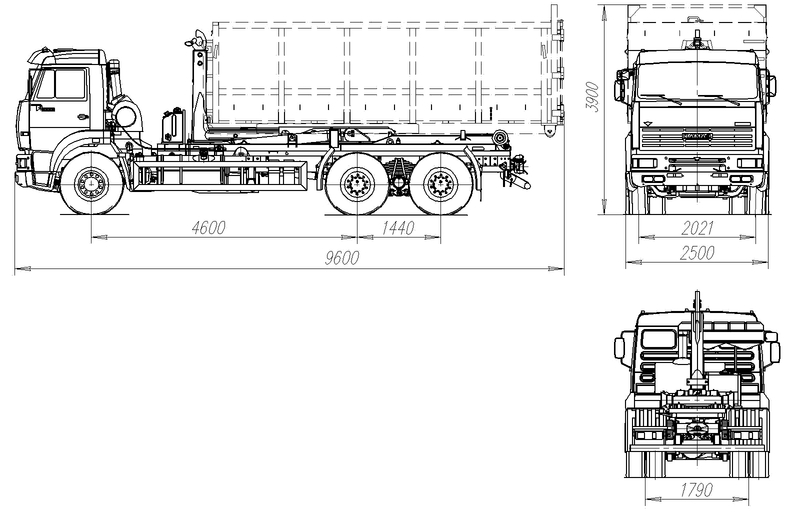 To obtain the Vehicle Type Approval, specifications and dimensional drawing (preferable in three views) are required. The examples of the documents can be downloaded from the list above. If you do not have some of the documents, we will promptly draw them up. This document allocates responsibility for the requirements of the Technical Regulations between the chassis manufacturer and the Approval holder. The List typically consists of the agreement and the list of the Technical regulations requirements with the names of the parties assigned to each item. For more information about the document and how to get it, please read Dividing List section. If a vehicle has the equipment which subject to individual certificates, they shall be written in the VTA, e.g. the articulated crane or the food van. To find out whether additional certificates are required for your equipment, please send us the application. In some cases, plant test reports can be sufficient to obtain the Approval, thus saving your time and money. For more information, please read GOST R Certificates and Certification tests sections. If all documents are available and the certification bodies give the go-ahead, the Approval can be obtained in two weeks. In practice, some documents are often unavailable and additional time is required to prepare them. The lead time to get VTA depends on your prompt response: sign the application, send data, answer phone calls and e-mails. We will assist you in finding the most efficient way to obtain the Vehicle Type Approval. Over a period of 14 years, we have issued more than 2000 Approvals, and our customers include more than 150 plants in Russia and abroad. See the full list in Clients section. All works are delivered on turnkey basis even with minimum information from the customer. MIC Center experts support and advise their customers at each stage of obtaining the Vehicle Type Approval. To get VTA, please call us at +7 (495) 363 43 54 or send the application using the ‘Apply’ red button at the bottom of the page. We will contact you promptly to advise you on how to get VTA, the price and the lead time to issue VTA.